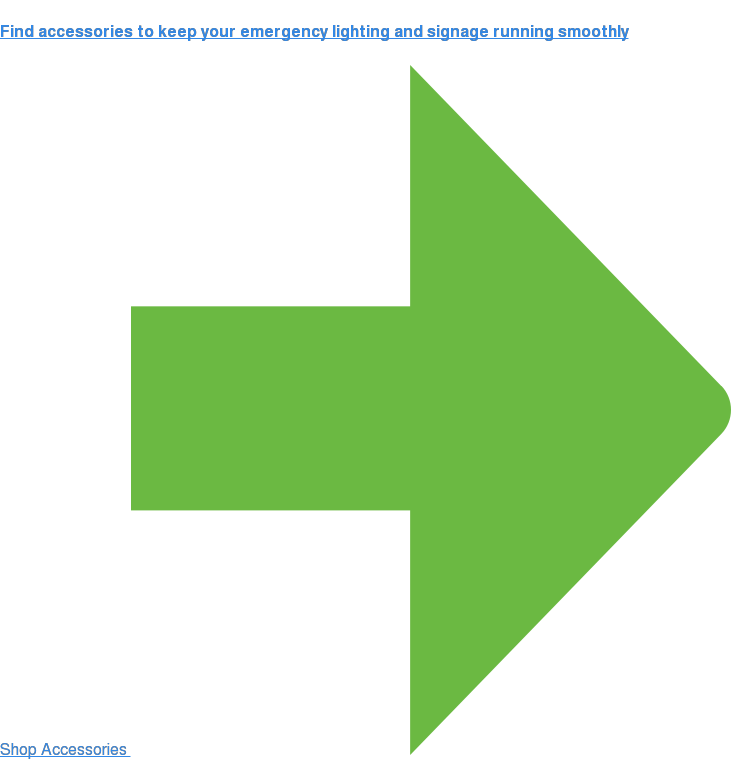 The Exit Store supplies a variety of emergency exit signs and LED exit signs. Our Diverse product selection includes exit signs for hazardous and wet locations, tritium exit signs, photoluminescent exit signs and more. Many of our products are manufactured on site and available for same day shipping, depending on what time the order is placed. We also carry a variety of accessories, wire guards, shields, lighting, replacement emergency ballasts and exit sign batteries fit for indoor and outdoor use. We provide indoor and outdoor emergency exit signs suited to every application, budget type, and business environment. Our LED exit signs conform to a wide range of industry standards, including UL, NFPA, CSA, ANSI, and OSHA requirements and come in various mounting options. Our wet location emergency exit signs are designed for commercial and industrial environments where resistance to humidity, dust, and water are specification criteria. These exit signs are ideal for installation in car washes, sports areas, marine locations, chemical plants, and more. Our tritium exit signs, also known as radioluminescent or self-luminous exit signs, require no external power source or electrical connection. Self-illuminating exit signs use a glowing type of gas called tritium to produce light. They are suitable for use in hazardous locations, outdoor environments, and floor proximity installations. With a long lifespan and minimal maintenance required, self-illuminating exit signs are a cost-effective alternative to electrically powered exit signs. The Exit Store manufactures and sells emergency exit signs ideal for installation in indoor environments. Indoor exit signs combine durability and aesthetic appeal. Exit signs are offered in a range of colors and styles to meet your specific needs. Nontraditional colors such as bronze, brass, and chrome are available for special applications. Find indoor exit signs suitable for hotels, restaurants, and office buildings. Our New York City approved exit signs are designed to meet the specifications of the 5 boroughs of New York City. NYC exit signs must comply with the New York City Electrical Code and feature red lettering. Similarly, any exit signs installed in Chicago must comply with city codes. Chicago approved exit signs feature Chicago-compliant red lettering with an illuminated white background. If included, directional arrows must be red, placed beneath any lettering, and be the same length as the lettering. Ensure compliance with city codes by browsing our selection of Chicago & NYC exit signs. 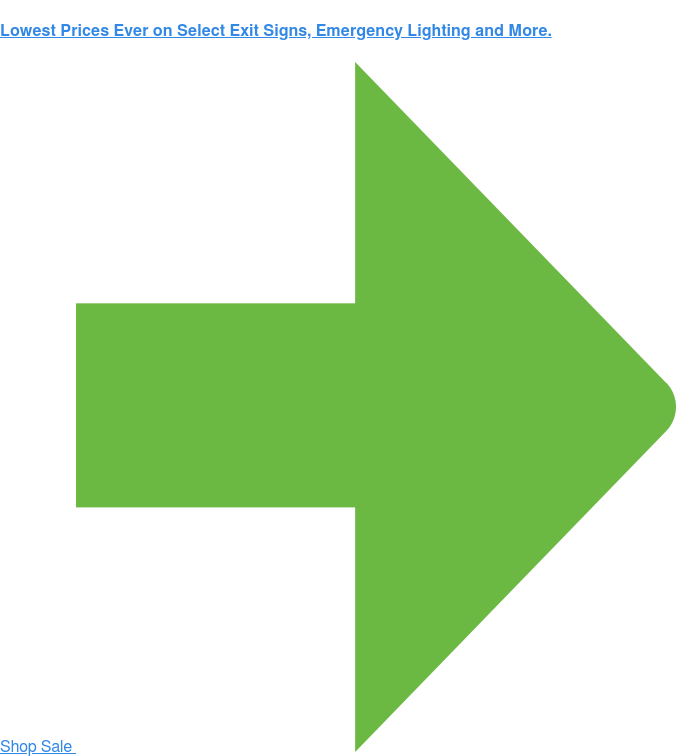 We offer hazardous location exit signs rated for use in classified locations, such as Class 1 Division 2 Groups A, B, C, and D environments. These signs are designed to prevent the ignition of hazardous materials and are also vandal-resistant, weatherproof, and shock absorbent. They are suitable for installation in manufacturing plants, paint shops, gas stations, oil refineries, etc. Need emergency lighting for your next project? Explore our large selection of emergency lighting and fixtures.